Obama Eyes Tax Code Overhaul To Raise Revenue : It's All Politics Obama consideration of a tax code overhaul could give him another area of agreement with the GOP. 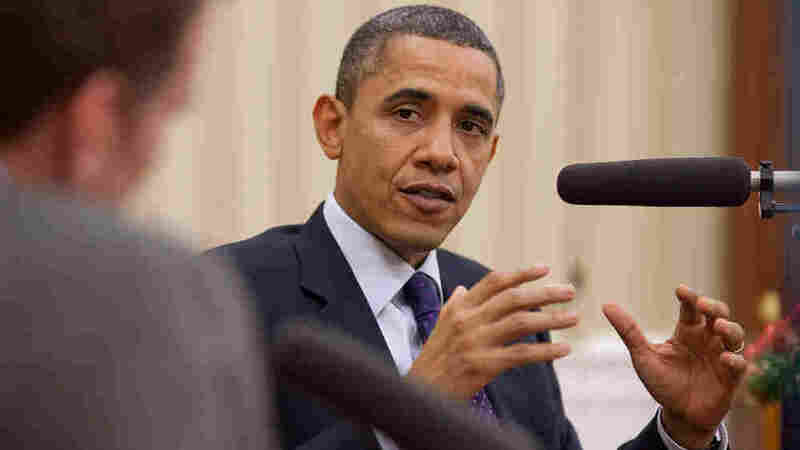 "Nobody -- Democrat or Republican -- wants to see people's paychecks smaller on Jan. 1 because Congress didn't act," President Obama told NPR's Steve Inskeep during an Oval Office interview on Thursday. 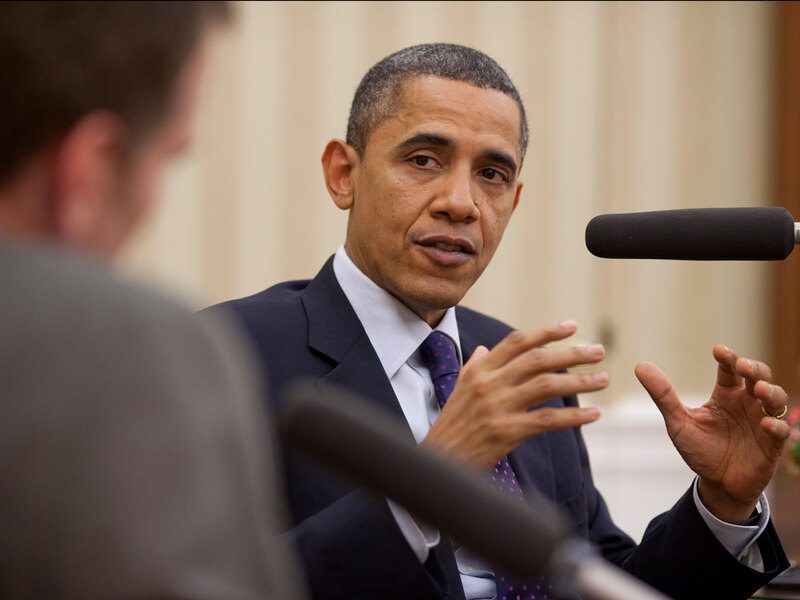 In his Oval Office interview with NPR's Steve Inskeep, President Obama indicated that, as he looks ahead, he wants to place remaking the nation's complex tax code on the national agenda. It would be a way of both simplifying the convoluted code and broadening the tax base in order to raise revenue. One interesting aspect of this is that it is potentially another area where there is agreement by people across the political spectrum. Democrats and Republicans are of like mind that the tax code is too complicated. Where they part company is on how to exactly undo the Gordian knot. But this could certainly be an area where the president can make common cause with at least some congressional Republicans which could help him appeal to the independent voters who, White House officials believe, are critical to the president winning a second term. STEVE: What do you plan to do to the tax code in the next couple of years? OBAMA: Well, I think we're going to have to have a conversation over the next year. And if you think about the last time we reformed our tax system back in 1986 — it didn't happen right away, by the way. It required a lot of conversations among a lot of different parties. But people of good will came together and realized that if we eliminate what happens to the tax code every decade or so — loopholes get built in, special interest provisions get built in — the nominal rates end up high, but the actual tax rates that well-connected folks or people who have good accountants pay end up being a lot lower. Ordinary people end up getting squeezed. So typically, the idea is simplifying the system, hopefully lowering rates, broadening the base — that's something that I think most economists think would help us propel economic growth. But it's a very complicated conversation. So what I believe is, is that we've got to start that conversation next year. I think we can get some broad bipartisan agreement that it needs to be done. But it's going to require a lot of hard work to actually make it happen. INSKEEP: So that everybody understands what you're talking about, your deficit commission talked about lowering everybody's tax rate and eliminating deductions, such as changing the home mortgage deduction and many other deductions as well. That's the kind of plan you’re talking about. OBAMA: Well, I have not specifically endorsed that plan. What I'm saying is, is that the general concept of simplifying — eliminating loopholes, eliminating deductions, eliminating exemptions in certain categories — might make sense if, in exchange, people's rates are lower. That may end up being a more efficient way of doing business.